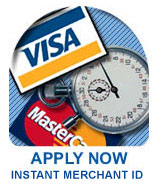 e-onlinedata is proud to offer access to the highest quality Credit Card Processing and Payment solutions. Featuring INSTANT ESTABLISHMENT of your Merchant ID Number, as soon as you submit the Online Application for your merchant account, your live Visa/MasterCard Merchant ID is issued to you and The Search is Over. No other eCommerce Processor matches our "merchant friendly" practices! LK & Associates offers several cart services customized to the design of your website. -A clean and flexible user interface, the cart itself focuses your customers on buying your products and services. -If you move your site to another host, your cart goes with you! Create, manage and run your own Search Engine & Directory Portal with total control and ease. User friendly in every aspect and built for the most demanding uses and customization needs. Comes with an extensive Admin Panel, Spam Filter, Premium Links, Link Reviews/Ratings, content sensitive Banner Rotator, HTML generation, Keyword Statistics, Link checker, Custom Data Fields, Crawler and dozens of other comprehensive features. Requires MySQL. Create and run your own Search Engine & Directory Portal with ease. Comes with a visually friendly admin control panel that provides you with all aspects to create, customize and run a full functional search engine. Supports unlimited sub categories, includes a crawler, link checker, site rankings, site reviews, customize all text/layouts, gives relevance to search keywords and more. Easy installation with setup interface. FM SiteSearch Pro is a quick and simple solution to adding full search capability to a web site. Comes with a relevance engine, control panel, large web site support, mysql support (optional), search/keyword statistics, advanced searches, specialized searches, fully customizable and many more. Also comes with setup interface. See our online demo. Free & High powered CGI scripts designed to be user friendly, powerful and easy to install. Add life and interactivity to your web with ease. ActivDesk is a feature rich web based help/support desk system. In today's information age, your customers deserve and demand great customer support. ActivDesk has been designed for this from start to finish, no matter how demanding the task. Manage support requests & questions from customers with ease in an organized and professional manner. ActivDesk also eliminates any spam related problems when dealing with customers or potential customers. It comes with fully customizable customer control panels, admin panel, support staff access levels, knowledge base functionality and many more.